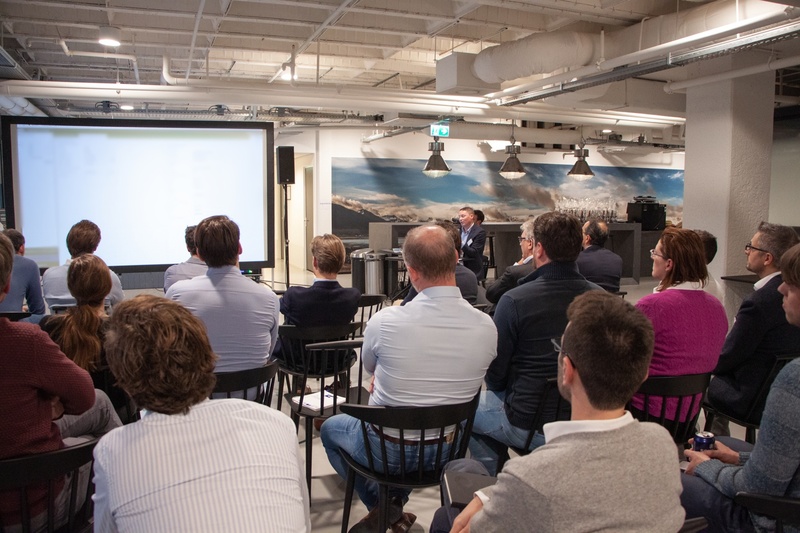 On November 22nd, we welcomed customers of five°degrees to our Amsterdam office to participate in a User Conference, providing a look back at 2018 company milestones, and a roadmap for 2019. The event also created a forum for customers to share candid feedback with one another, encouraging an atmosphere of collaboration, growth, and innovation. Our event opened with an introduction from Bjorn Holmthorsson, CTO and co-founder, five°degrees who gave a company update over the last year. Milestones included our acquisition of Libra which strengthens our position as a global market leader; our partnership with BillPro provisioning a cross-border banking offering; and collaboration with ieDigital; launching a premier digital banking portfolio aimed explicitly to fulfil consumer needs. Bjorn went on to take attendees through a customer feedback survey. The survey shows that we are already highly ‘customer aware,’ and provided valuable information to guide our approach for 2019. We’d like to thank all our customers for taking part in the survey, as it is vital in helping us to make informed decisions when provisioning for business needs and improving client servicing. Fridrik Reynisson, director of product development, and Thordur Gislason, managing director of Libra at five°degrees, hosted a roadmap breakout session. The roadmap discussed our priorities for 2019 including a focus on lending and leasing, enhancements to the product offering, increased automation, improving efficiency, quality and security on strategy implementation timelines, and greater integration of Matrix with APIs, SDKs, and SaaS. 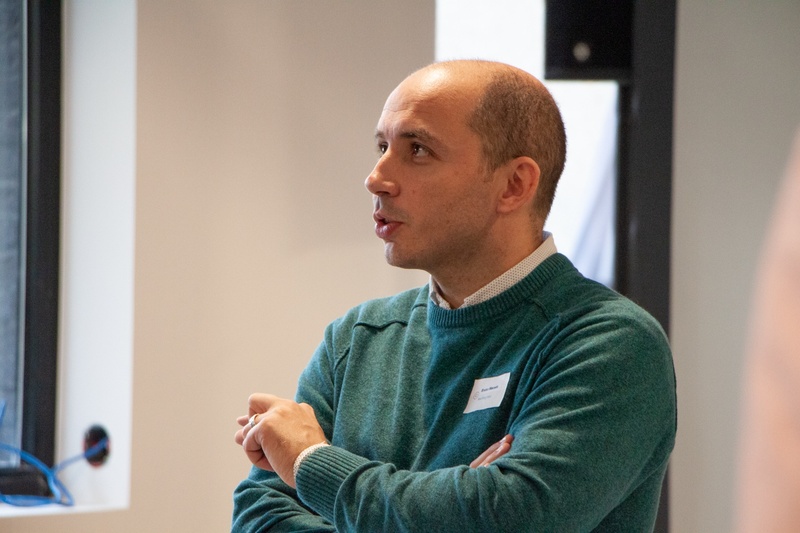 Bruno Macedo, Product Evangelist at five°degrees, hosted a seminar on ‘Navigating the Future,’ providing a summary of FinTech trends for next year and beyond. Bruno began the presentation citing a Gartner quote that ‘most banks will be made irrelevant by 2030’ if they do not adapt to customer behavioral changes. This will be overcome by the emergence of digitisation and cognitive banking to ensure the right mix of branches and digital offerings shaped by customer preferences. Through using cognitive computing systems, including real-time insights and information processing, banks can seize an opportunity that will grow revenues up to 30 per cent by 2022. Another trend is mobile and real-time payments. These technologies will create an ‘Internet of Payments’ in the banking and finance market, from cross-border banking and eWallets, to the use of Blockchain and virtual currency. Bruno also spoke on the widespread adoption of cloud-based solutions and the development of Quantum Computing capabilities, to increase the speed at which financial institutions and corporations deliver their products and services. Regulation will be a theme which continues to dominate the banking and financial landscape. With the introduction of GDPR and PSD2 earlier this year, banks will need to ensure that regulatory requirements are met by reporting data effectively and opening up their APIs to trusted third parties. For banks to ensure compliancy in 2019 and avoid heavy fines they must be ready and tested by March. Bruno ended the presentation on a trend around smart collaboration, citing the increase in partnerships between FinTechs and corporates. 8 in 10 (82 per cent) of incumbents are expected to increase FinTech partnerships in the next three to five years, with a greater investment in FinTech collaborations rather than buying products. Indeed, smart collaboration is expected to impact up to 80 per cent of existing banking revenue pools by 2020. Our Director of Marketing, Martine Korstanje, hosted a break-out session on ‘Sharing Stories,’ discussing how sharing feedback internally between customers is vital to drive innovation. Through the act of sharing insights confidentially among a community of trail blazers and industry leaders, we can work with our customers to champion efficiencies and drive business growth. Martine went on to talk about external communications and the rise of video content in story-telling: one of the best forms of sharable content to create widespread engagement among existing and prospective customer audiences. 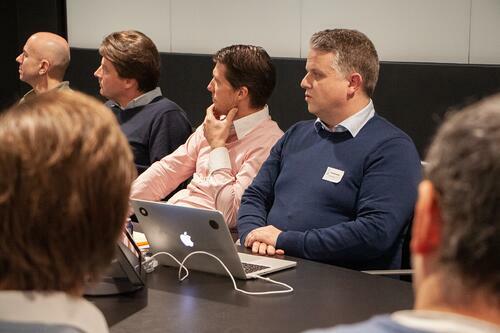 five°degrees’ customer, Patrick Paul, CRM and workflow consultant at Van Lanschot; a leading private Dutch bank, brought things to a close with a discussion on how five°degrees technology has helped their organisation transform its workflow processes. Through working in collaboration with Van Lanschot was able to cut down the time taken for manual contract processing. Patrick said that workstreams have been streamlined, enabling contracts to be created in 30 seconds - something that would have previously taken up to 3 weeks. Download the Van Lanschot case study to learn more. We would like to thank everyone who attended the conference and we look forward to welcoming five°degrees’ customers back to our offices for another event soon. In the meantime, keep updated w ith further insights on FinTech trends in our five°degrees blog section.